Shop the Joybed Mattress Pad - Natural sleep is better sleep. 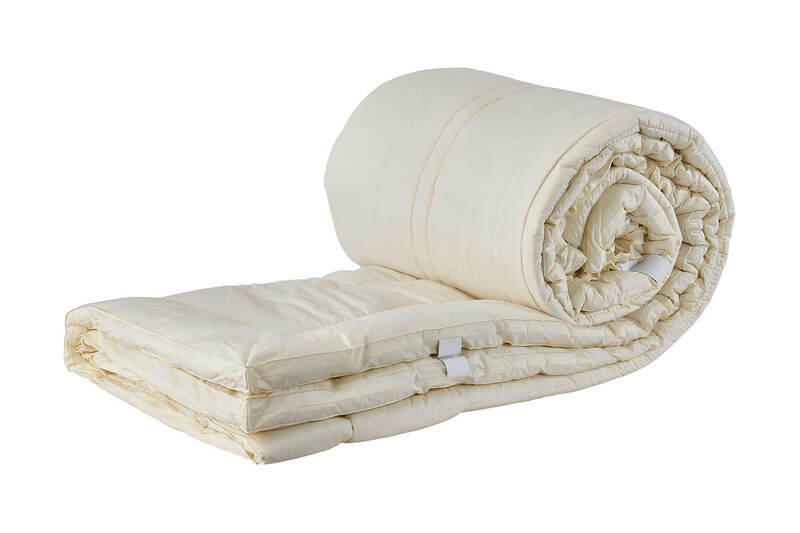 You need a natural mattress pad to protect your natural mattress. (A synthetic cover will block air flow.) This pad is filled with British wool and is encased in a cotton cover. It will block minor spills and is machine washable. Plus you get the added benefits of wool; it breathes, regulates tempurature and wicks away moisture! Twin size: 39" x 76" x 1/2"
Full size: 54" by 76" x 1/2"
Queen size: 60" x 80" x 1/2"
King size: 76" x 80" x 1/2"
Cal-king size: 72" by 84" x 1/2"
It's important to protect your mattress - naturally. If you put a synthetic protector on your natural bed, you're actually working against the benefits of the mattress because synthetic protectors don't breathe as good as natural materials. 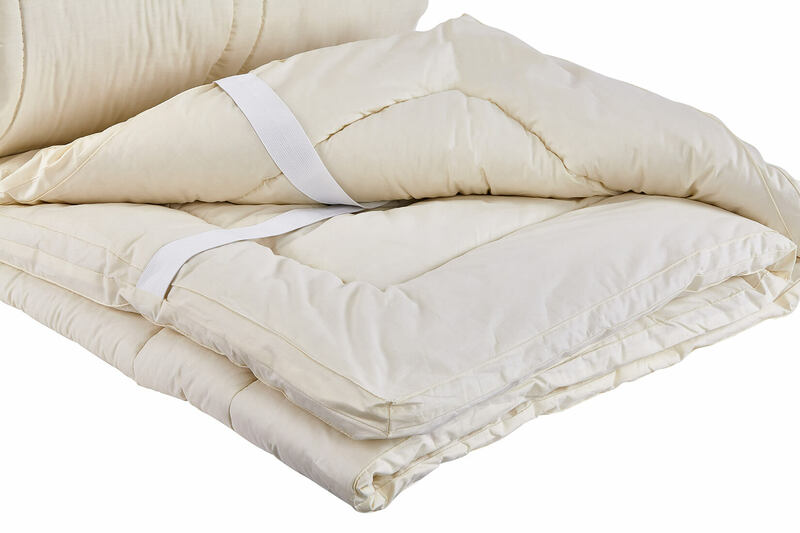 Our natural mattress pad breathes with your natural mattress. Our wool mattress pad absorbs smaller spills and stains. It's also conveniently machine washable to keep clean. And since it's made of wool the pad is naturally hypo-allergenic.